Set fixare distributie Audi 3.0 V6 30V, AUDI, VW - ZR-36ETTS71 - ZIMBER-TOOLS . A specially designed tool to align and hold the camshaft. 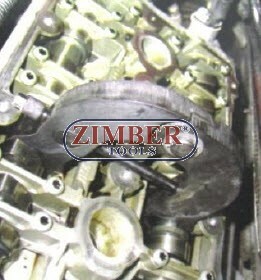 Used to lock and hold camshafts when adjusting the left and right camshafts. AUDI 3.0L V6 Engines AVK -A4. 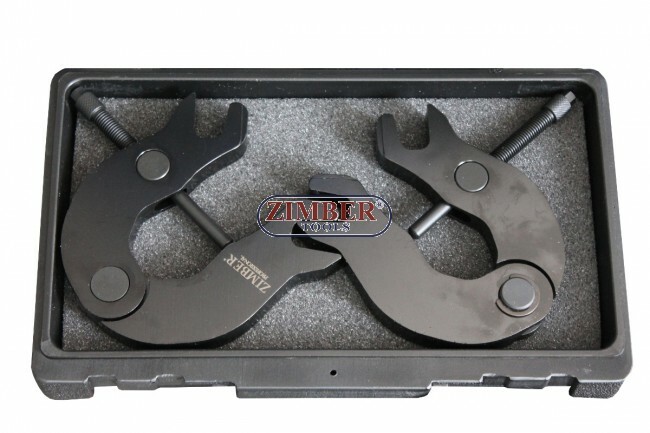 Set fixare distributie Audi 3.0 V6 30V, AUDI, VW - ZR-36ETTS71 - ZIMBER TOOLS. Trusa fixare distributie Volkswagen, Audi, Seat, Skoda 1.4/1.6/2.0 TDi CRD - ZR-36ETTS229 - ZIMBER-TOOLS. Set fixare distribuţie VAG- VW, Audi, Seat, Skoda - 1.2 TSI/TFSI - ZR-36ETTS180- ZIMBER TOOLS. Set fixare distribuţie VAG VW, Audi, Seat, Skoda 1.2 TSI/TFSI - ZT-04A2155 - SMANN TOOLS. Set fixare distributie VAG AUDI SKODA, VW, SEAT, Ford 1.9 TDI SDI - ZT-04A2202D - SMANN TOOLS. DISPOZITIV PENTRU BLOCAT AXUL CU CAME MOTOARE VAG AUDI, VW 3.7 / 4.2- ZT-04A2215 -SMANN TOOLS. Blocaj ax cu came motoare VAG VW,AUDI A4, A6, S4 V6 2.4 2.7 2.8 -ZT-04A2216 - SMANN TOOLS. 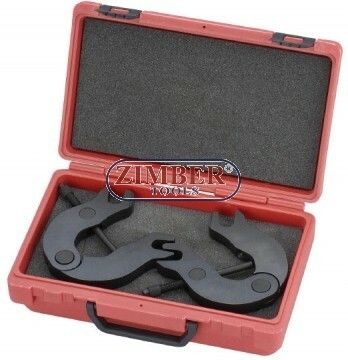 Set fixare distributie VAG 1.2,1.4,1.6,2.0,2.4,3.2- FSI - ZT-04A2266D - SMANN TOOLS. Set fixare distributie VAG 1.2/1.4 TSi - Belt Drive - ZT-04A2218 - SMANN TOOLS. Cale distributie pentru motoare VAG 1.8 l, 2.0 FSI, TFSI - ZR-36ETTS239 - ZIMBER TOOLS. Trusa blocaje distributie motoare VW, SKODA, SEAT 1.0 MPI - ZR-36ETTS312 - ZIMBER TOOLS. Cheie tensor curea distributie motoare VAG- V159- ZR-36ETTS4103 - ZIMBER TOOLS.